A new floor plan - the Dogwood - has been added to the two popular floor plans available in The Verandas at Heritage Bay. The new floor plan offers a large open living area with an open kitchen and breakfast nook facing the beautiful golf course views and southern exposure. 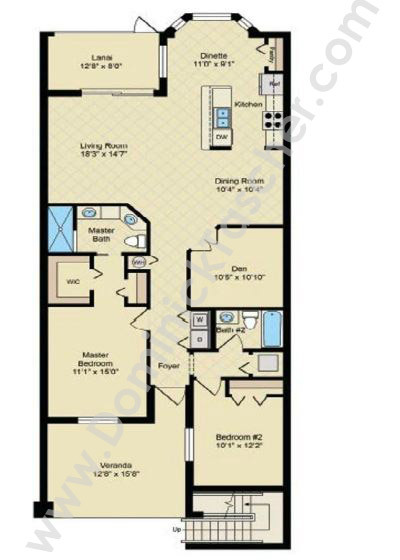 The Dogwood offers 1,413 sqft under air with two bedrooms and a den.